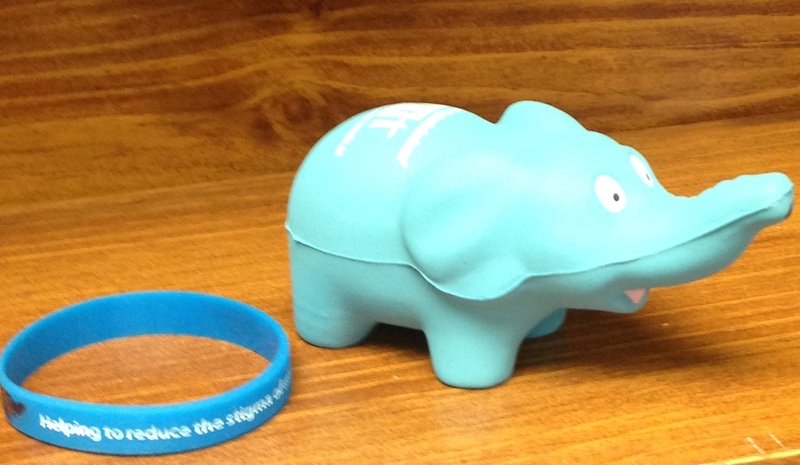 Elephant in the Room is a national anti-stigma campaign designed to address the stigma associated with mental illness. When you display a blue elephant figure, you show that you care about the wellness of others and demonstrate that this is a safe place to talk about mental illness, without fear of being viewed differently. When you see a blue elephant figure, you know where you are is a safe place to speak about any mental health issues you or your family may be having. You understand that you will be treated with respect and dignity and that you will find the support and understanding from a person who cares. To find out more about the campaign or about becoming a champion, please contact Lugene Young or Carolyn Bartlett at Health Services.